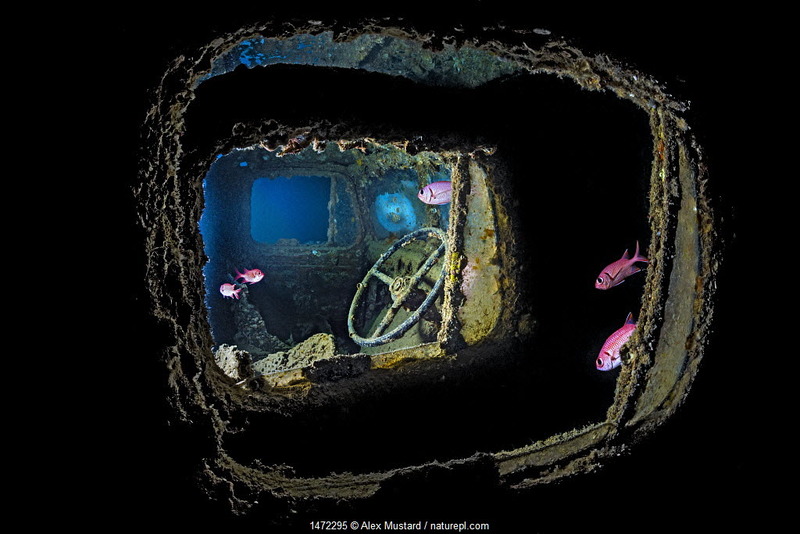 We are proud to announce that Alex Mustard has been awarded the MBE for services to underwater photography in the 2018 Queen’s Birthday Honours List. 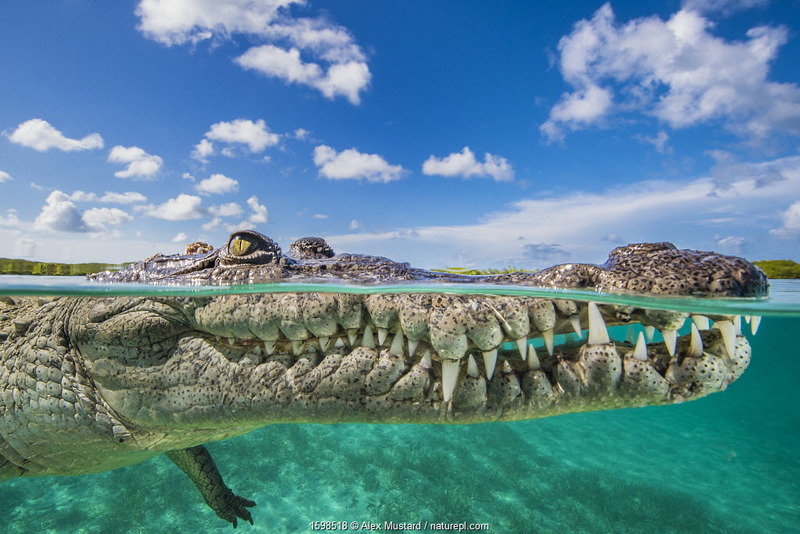 Alex Mustard has been taking underwater photographs since he was 9 years old, and has worked full time as an underwater photographer since 2004. 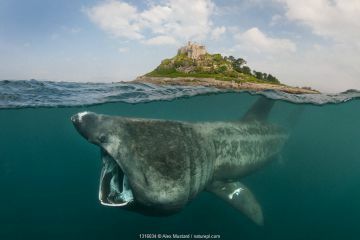 His photographs have won many awards including five in BBC Wildlife Photographer of the Year. 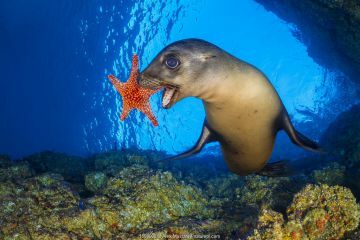 In 2016 he has released two new books Underwater Photography Masterclass and Secrets Of The Seas. 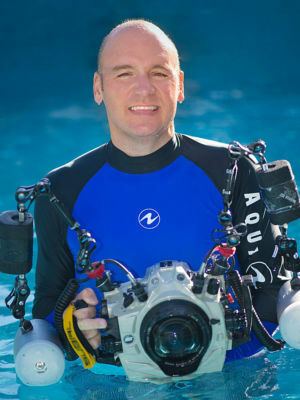 His previous books include The Art Of Diving, which has been described by David Doubilet as “the best book about diving since Jacques Cousteau’s The Silent World”, and Reefs Revealed, which won the International Grand Prize for the best book of underwater photographs. 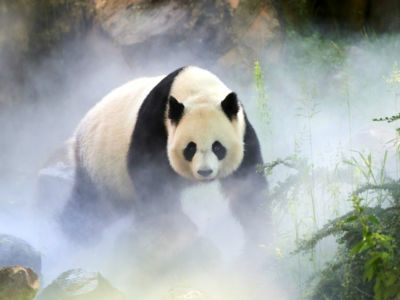 His photographs have been displayed in exhibitions around the world and a particular highlight was presenting his work to Queen Elizabeth II. In 2013, Alex was named GDT European Wildlife Photographer of the Year for his image Night Moves – the first time an underwater photograph has won this prestigious award. 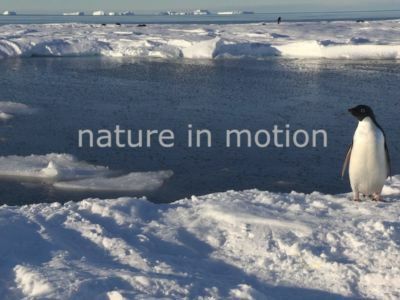 Alex is a regular contributor to many publications in the marine, wildlife, diving and photographic media, and to date has published more than 500 articles. Explore our new expanded gallery of Alex’s amazing work, or find out how he felt when he found out about the award here. Split level photo of an American crocodile (Crocodylus acutus) floating at the surface over a shallow seagrass meadow, close to mangroves. Jardines de la Reina, Gardens of the Queen National Park, Cuba. Caribbean Sea. 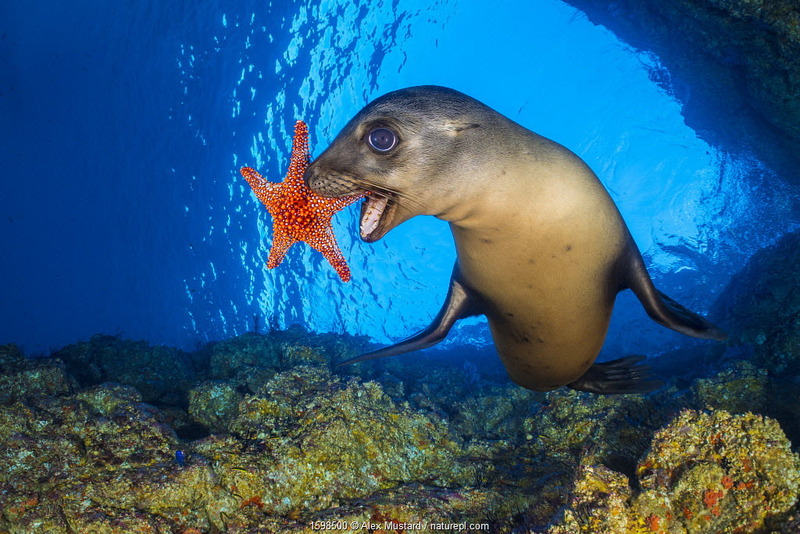 California sea lion (Zalophus californianus) uses a Panamic cushion star (Pentaceraster cumingi) as a toy. Los Islotes, La Paz, Baja California Sur, Mexico. 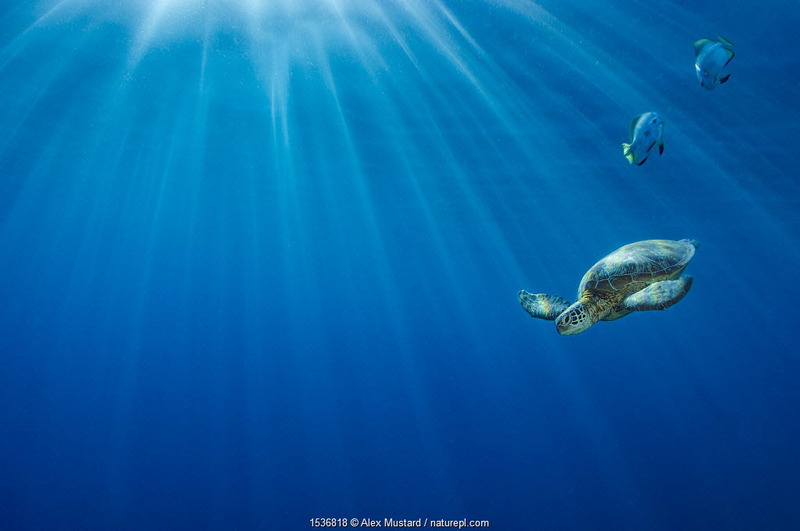 Sea of Cortez, Gulf of California, East Pacific Ocean. 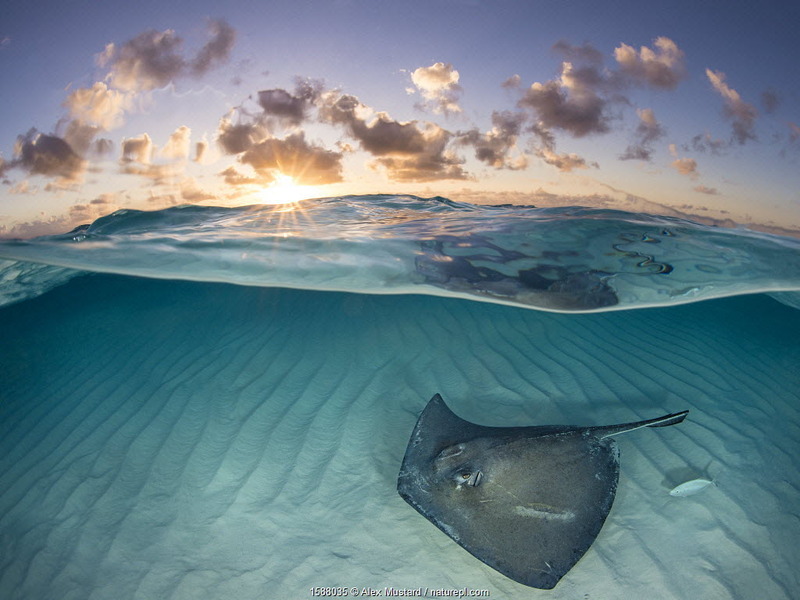 RF - Southern stingray (Dasyatis americana) swimming over sand in shallow water at dawn, Cayman Islands, Caribbean Sea. 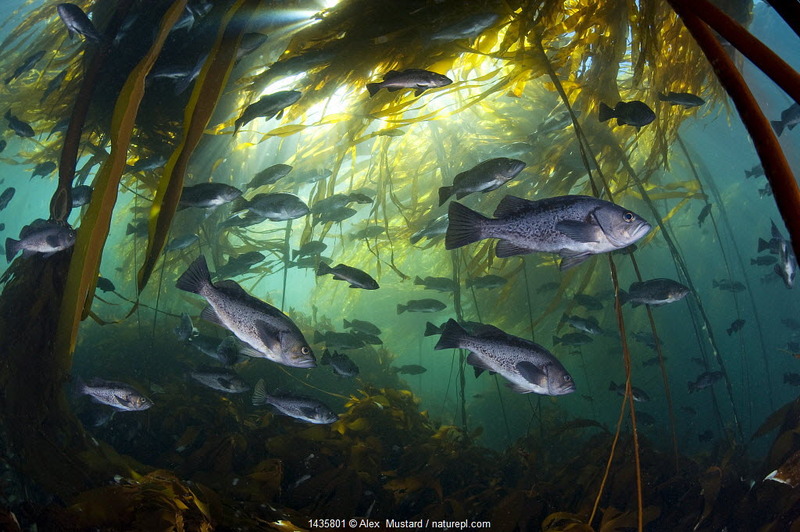 Black rockfish (Sebastes melanops) in bull kelp (Nereocystis luetkeana), Browning Pass, Port Hardy, Vancouver Island, British Columbia, Canada. 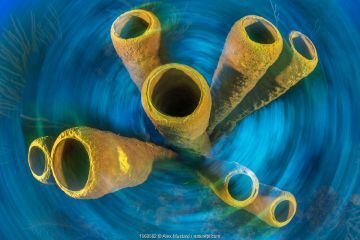 Yellow tube sponge (Aplysina fistularis) on a coral reef, with the camera rotated during the long exposure. 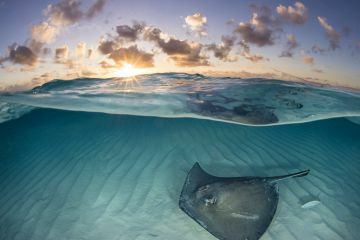 East End, Grand Cayman, Cayman Islands. British West Indies. Caribbean Sea. 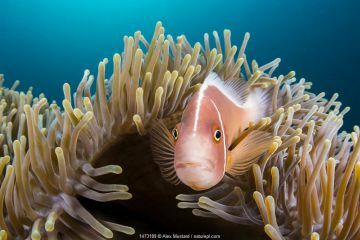 Maldive anemonefish (Amphiprion nigripes) shoal swimming in the current flowing over a Magnificent sea anemone (Heteractis magnifica). Baa Atoll, Maldives. 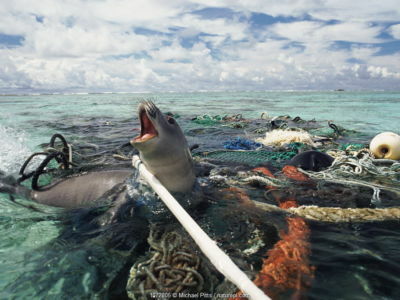 Indian Ocean. View of steering wheel inside Bedford OYC water tanker 3 ton lorry, from another Bedford OYC truck, deep inside hold of wreck of HMS Thistlegorm. Sha'ab Ali, Red Sea. Sinai, Egypt. 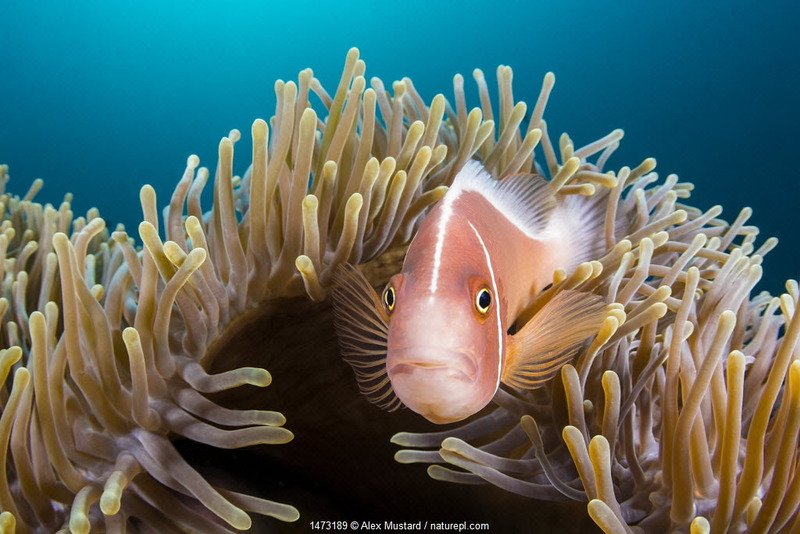 Pink anemonefish (Amphiprion perideraion) looks out from its host Magnificent sea anemone (Heteractis magnifica) Anilao, Batangas, Luzon, Philippines. Verde Island Passages, Tropical West Pacific Ocean. 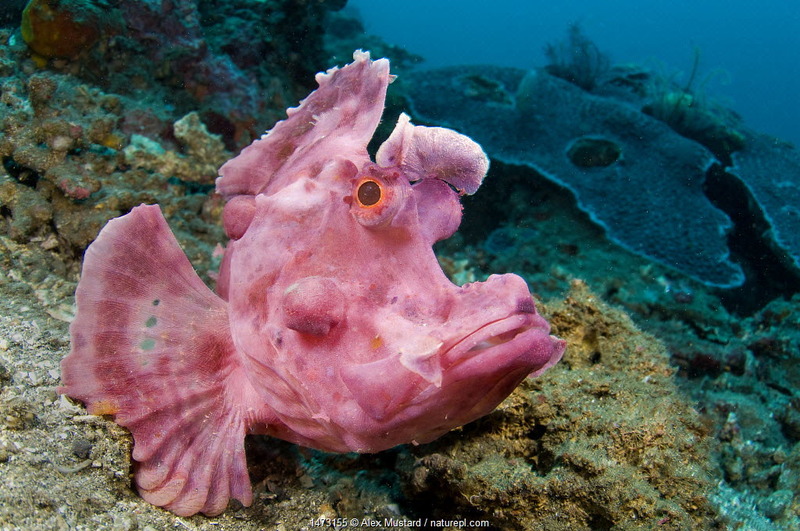 Portrait of Paddle-flap scorpionfish (Rhinopias eschmeyeri) on rubble slope. Bitung, North Sulawesi, Indonesia. 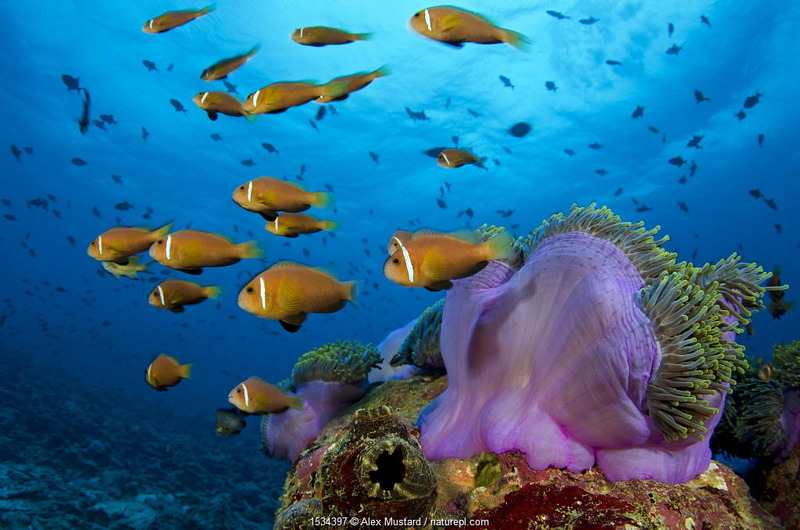 Lembeh Strait, Molucca Sea. Portrait of a Green sea turtle (Chelonia mydas) in morning light. 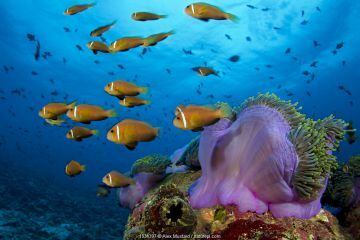 Sipadan Island, Sabah, Borneo, Malaysia. Celebes Sea. 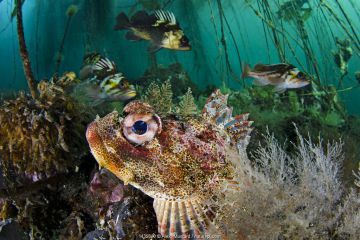 Red Irish lord (Hemilepidotus hemilepidotus) hides on the sebed, with Quillback rockfish (Sebastes maliger) and copper rockfish (Sebastes caurinus) behind in the bull kelp forest. Browning Pass, Vancouver Island, British Columbia, Canada.